JBL CWT Series - Crossfired Waveguide Technology - Akwil Ltd.
JBL CWT Series - Crossfired Waveguide Technology There is 1 product. The JBL Crossfired Waveguide Technology CWT128 is a compact full-range 2-way system designed to provide extremely wide-angle coverage with maximum bandwidth and SPL in a single system package. 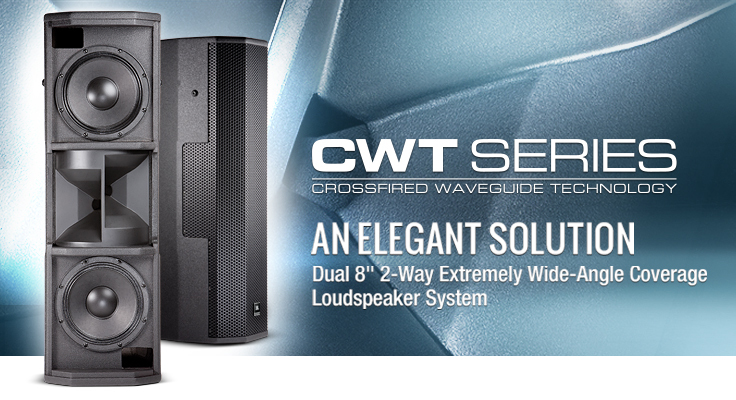 Do you have a question about one or more of our JBL CWT Series - Crossfired Waveguide Technology products? Click below to contact us.